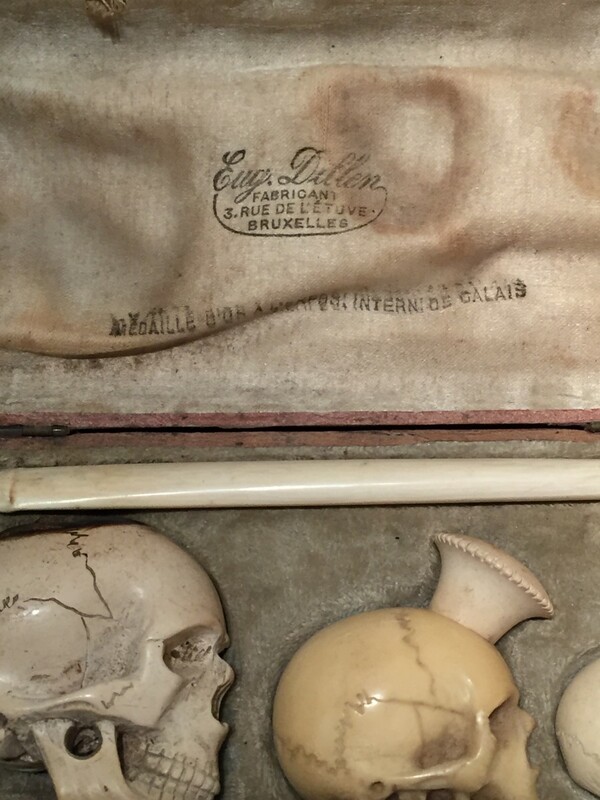 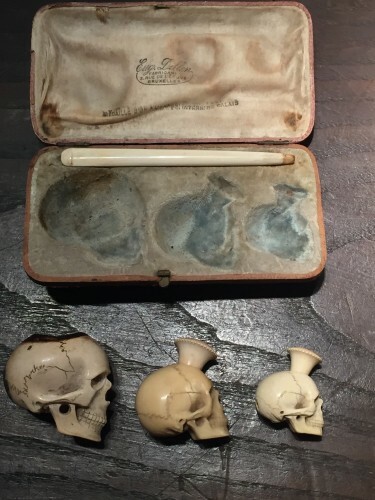 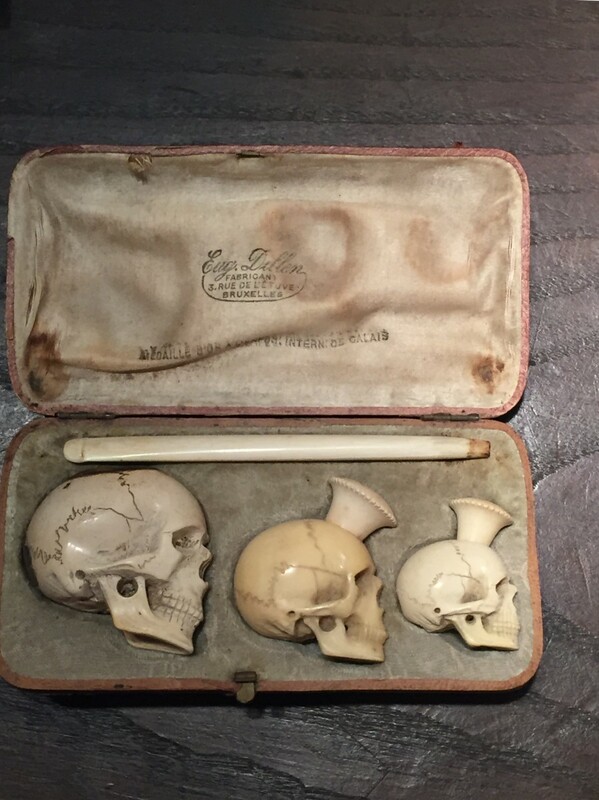 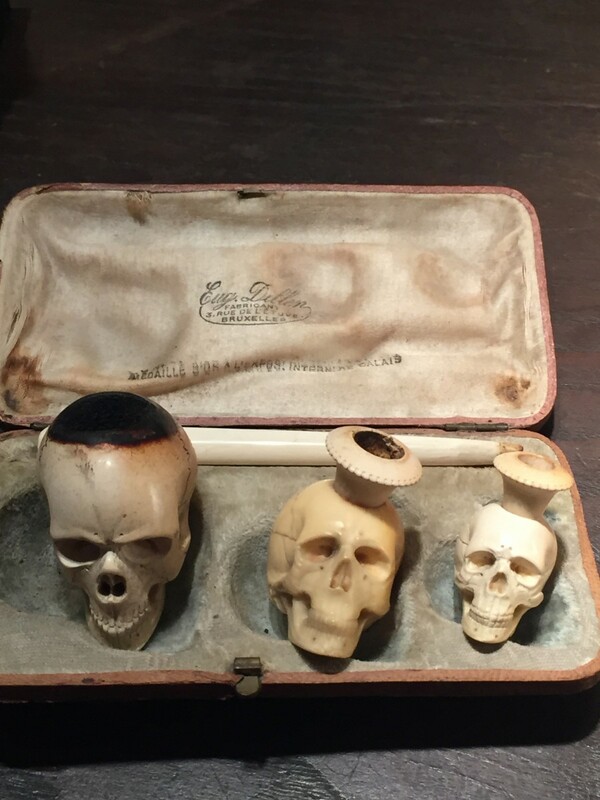 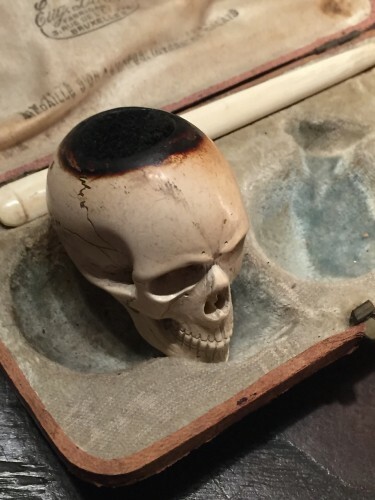 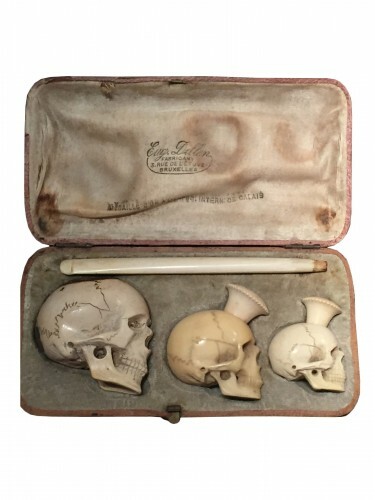 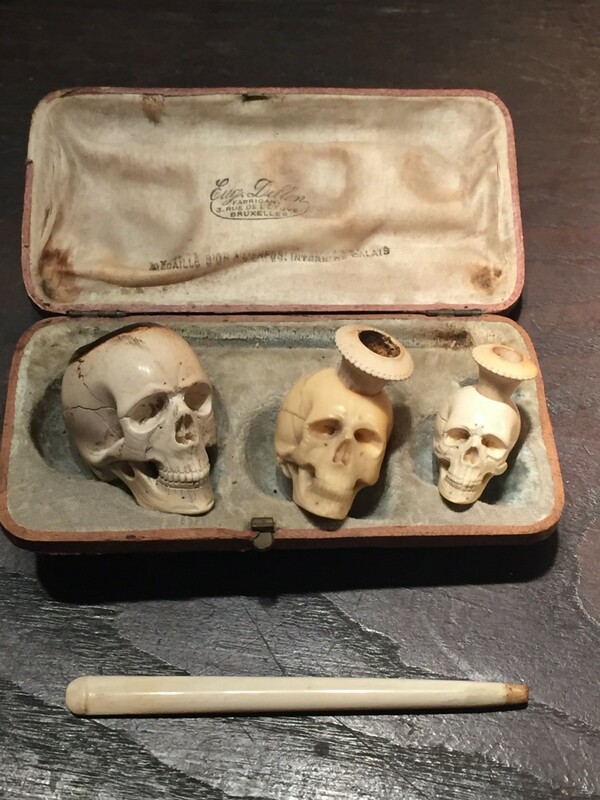 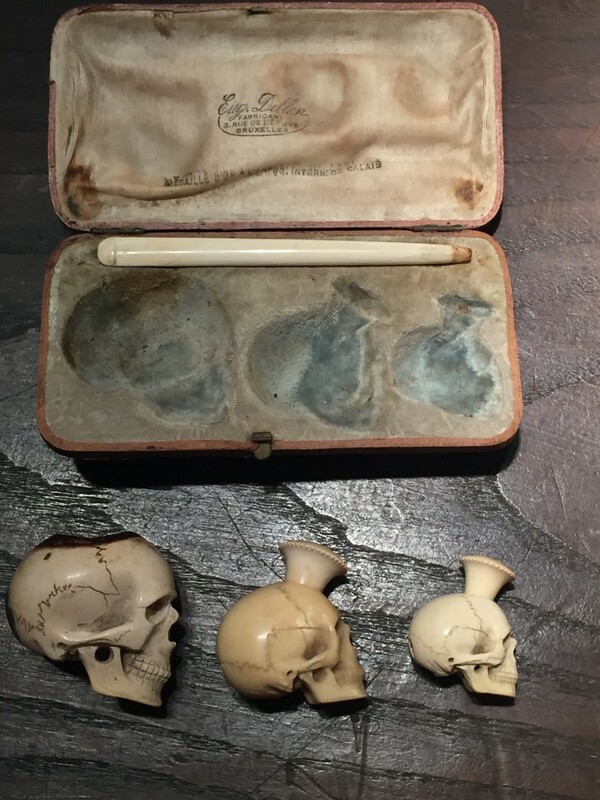 Magnificent cheroot/cigarette holder with three skulls (ca 1900) in meerschaum by Eugène Dillen in its original case signed Eug. Dillen, fabricant Rue de l’Etuve 3 Bruxelles. 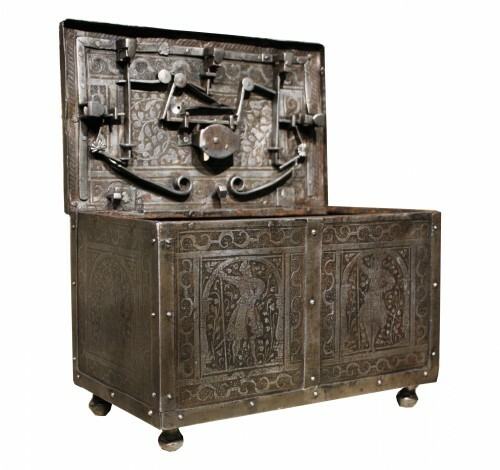 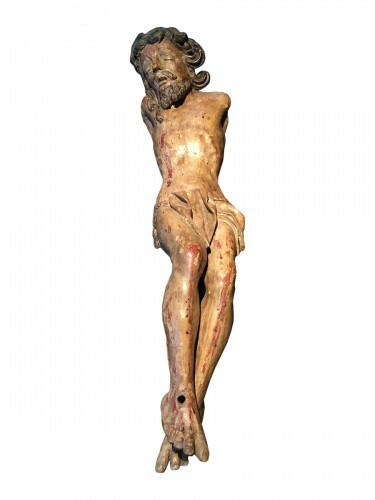 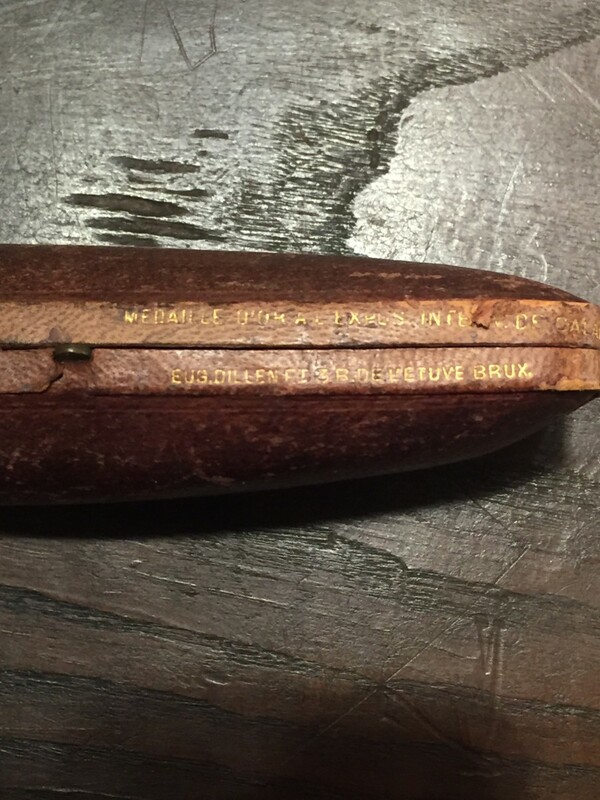 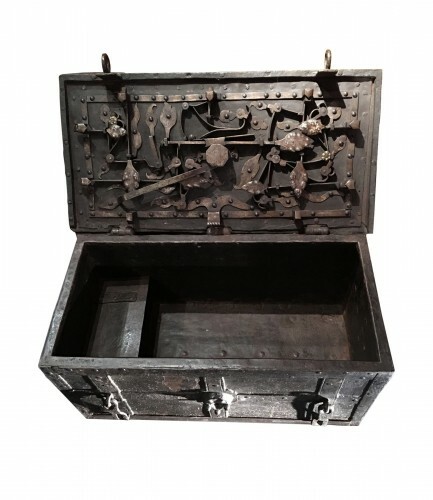 The inscription (on the inside as well as in gilt letters on the outside of the case) mentions his award (Médaille d'or) in Calais of 1896 but not yet the award that had been given to him in Brussels in 1905, hence we situate this work between 1896 and 1905. 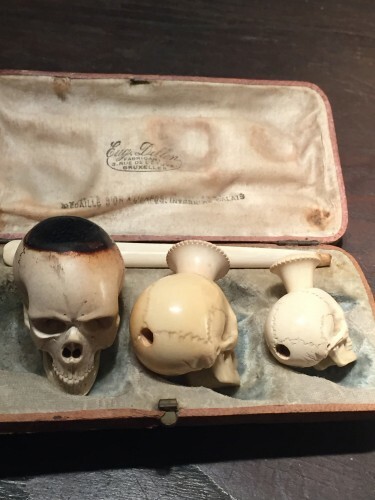 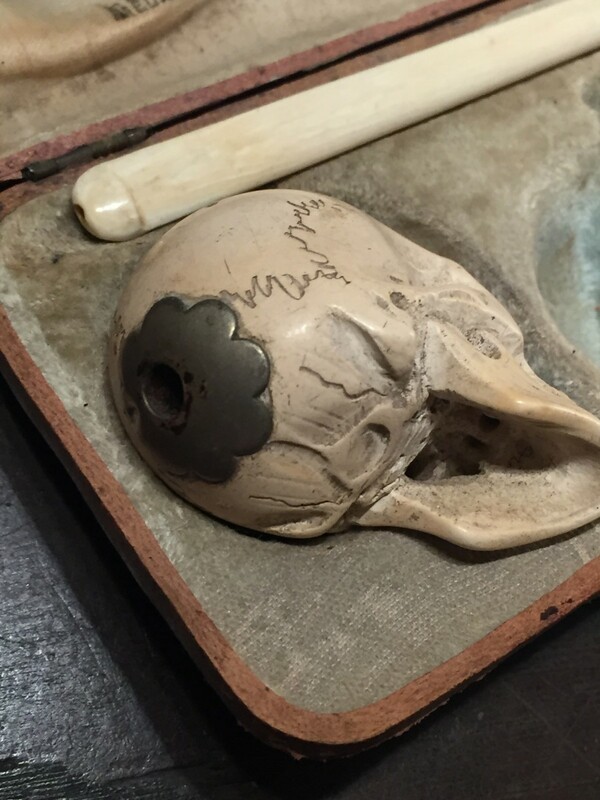 It has a hollowed tube as a mouthpiece that can be applied to the back of each of the three skulls. They would be fit for larger cheroots or smaller cigarettes. 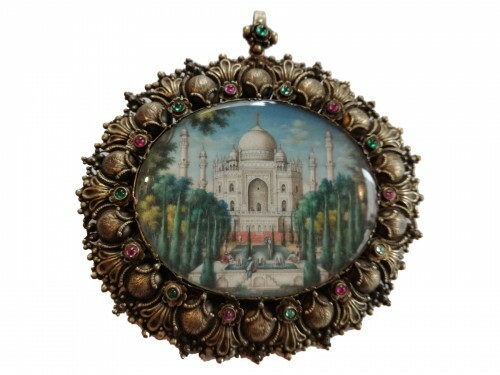 It is the best quality and quite delightful. 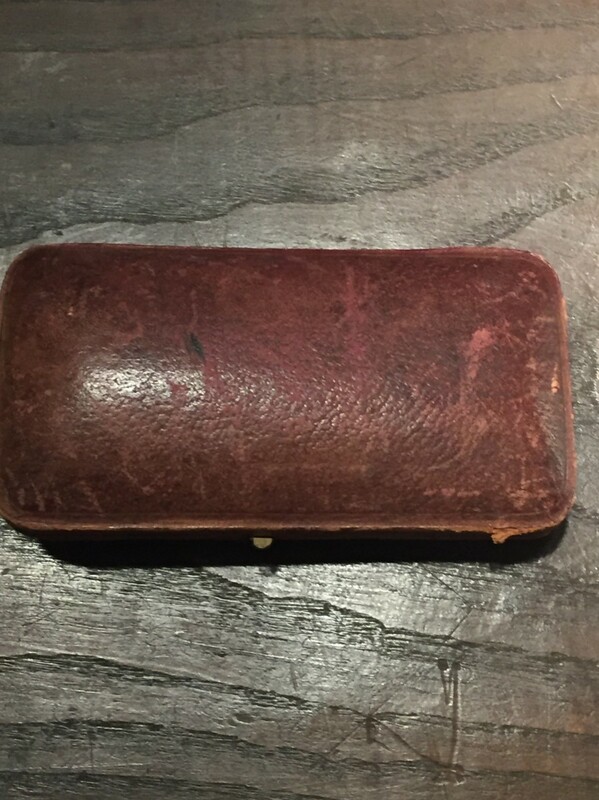 Size of the case: 14 x 8 cm. 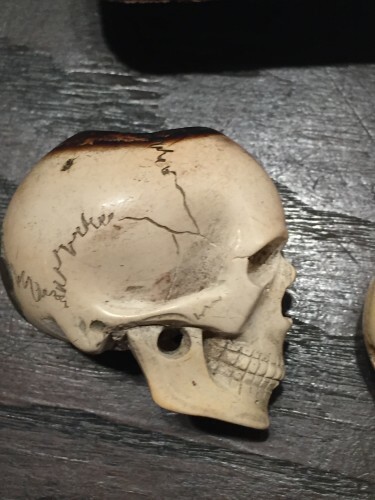 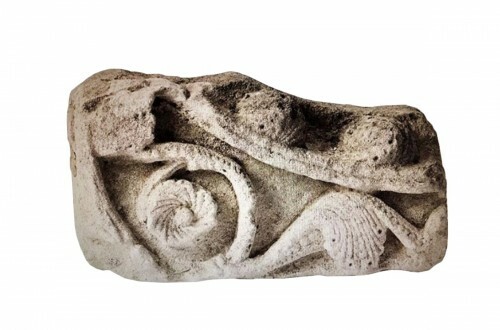 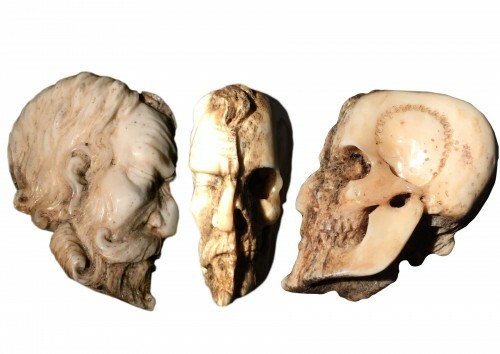 Skulls: circa 5cm, 4 cm, 3 cm. 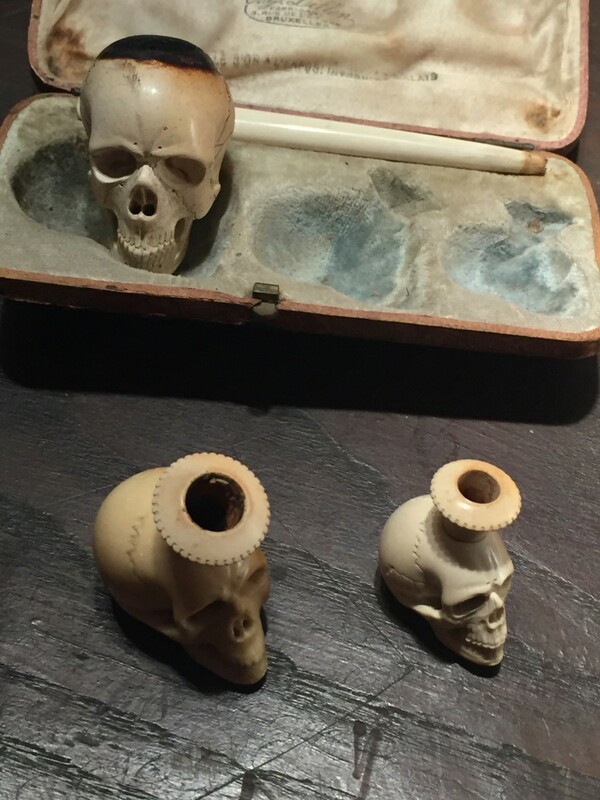 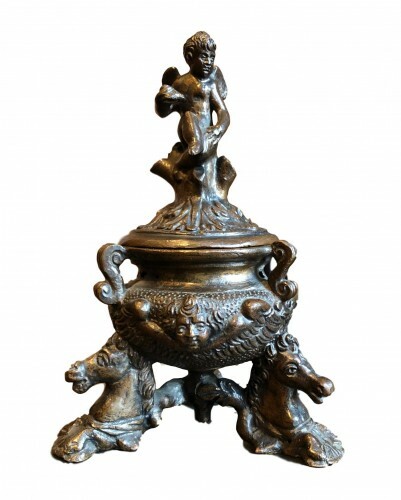 Mouthpiece: 11,5 cm.